Remember at the end of "Lord of the Rings: The Return of the King" (spoiler alert?) 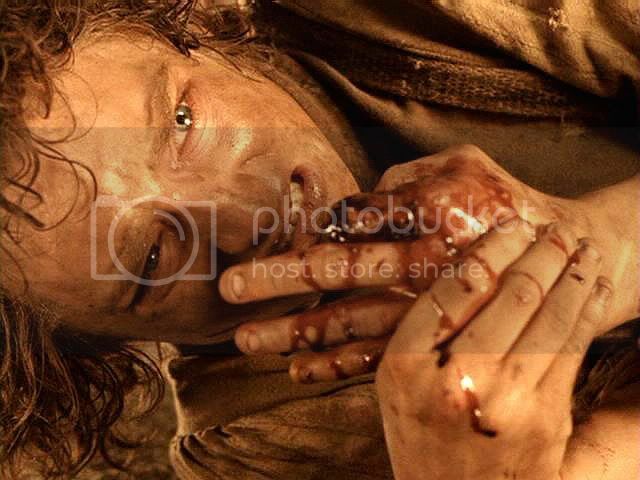 when Gollum, whose life had been spared by Sam at the foot of Mount Doom, ended up attacking the hobbits again near the summit and literally biting the hand that fed him (gross photo here)? That's the first thing that comes to mind when thinking of Tiki Barber, the former Giants great who is trying to make a second career out of blasting his old team. The Giants players are not listening to Tom Coughlin anymore. As much as they want to pass the buck and blame the offensive coordinator, the team got rid of Kevin Gilbride and brought in Ben McAdoo. Now they say it’s the defensive coordinator’s fault so maybe it’s time to get rid of Perry Fewell, the defensive coordinator. At some point, it trickles uphill and it has to be Tom Coughlin’s responsibility. I’ve held off on saying this, for them to make a change [at head coach]. First of all, things don't trickle uphill. Second of all, he bookends blaming Tom Coughlin with disagreeing with the offensive play-calling at the goal line and on fourth-and-1. So is it Coughlin's fault, or McAdoo? Third, why are we wasting time listening to what Tiki Barber has to say about the Giants? Rarely have we seen a guy more negatively biased towards his old franchise. If you haven't already dropped him from your fantasy analyst team, do so now -- but he's worth a stash in your philanderers league.